India is the land of exotic history, naturalism, spiritualism and interesting wilderness. Touring North India is the best way to explore the glory of India. The tranquil mountains of North India and the enchanting valleys will completely replenish your mind, body and soul. North India is dotted by timeless cities, exotic and ancient temples, Tibetan Buddhist Kingdom to reveal unrehearsed beauty. There are hill stations, historic monuments, vibrant cities, jungles dotting the entire North India. The list of top 10 places to visit in North India during winters is worth considering. New Delhi is the capital city of India and the leading tourist destination in the North India. The charming and quaint city is the home to ancient forts and monuments, churches, historical buildings. This winter you should tour Delhi and experience leading places of tourist interest like Qutub Minar, Red Fort, Humayun’s Tomb, Jantar Mantar, the famous Lodhi Garden, Lotus Temple and various monuments acting as heritage attraction of Delhi. Light and Sound show takes places when it is winters. You can’t also miss out ‘Parathe Wali Gali’. Visit the Red Fort this 26th January to see the parade. Shopaholics will find several areas to shop for a variety of products. Agra is home to The Taj Mahal, one of the Seven Wonders of the World. It was built by the famous ruler Shah Jahan and is dubbed as the ‘symbol of love’. 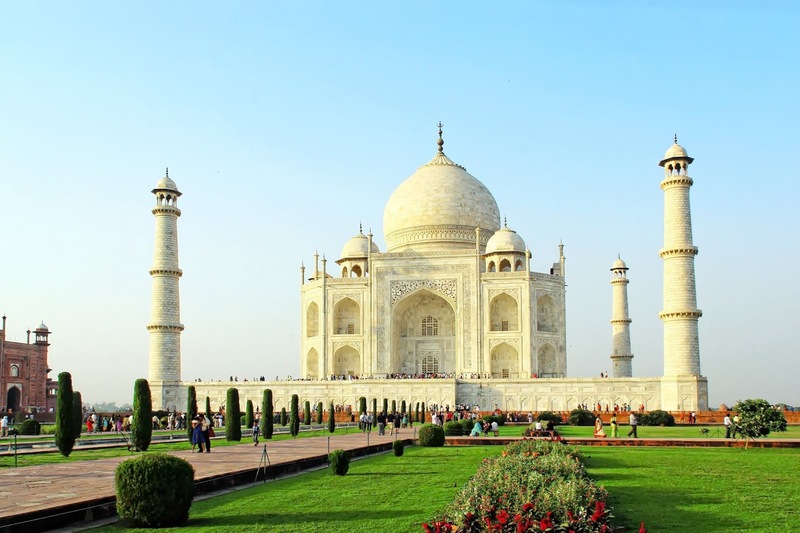 Apart from The Taj Mahal, there are other monuments and buildings of historical importance. Agra Fort is worth visiting. Tourists from all across the globe flock the Taj Mahal during winters for the sight is marvelous to behold. The capital of Rajasthan, Jaipur, is the first planned city where you will find palaces, monuments and forts of fairy tale. During the winter, you may participate in heritage tour, view Jain Temples like Birla Mandir, Govind Devji Temple and Narayan Temple. There are other places of tourist attraction like the famous Dolls Museum, Ghat Ki Guni and other spots. You can’t miss out sound and light show that takes place in the Amber Fort in the evening. Don’t miss out SAM Dunes during Jaisalmer Desert Festival. Udaipur, the historic city, is one of the romantic destinations of India, most romantic during winters. There are several places of attractions, namely, City Palace, Lake Pichola, Monsoon Palace and also Fateh Sagar. There are other attractions also like Pratap Memorial, Gulab Bagh, Jagdish Temple and several others. You should visit Mount Abu hill station that is closer to Udaipur. There is a reason to visit Manali during winters. You get chance to catch glimpse of snowfall when it is winter. It is one such travel destination where tranquility dwells no matter how crowded the place is. Solang Valley which is just an hour’s drive from Manali is the popular ski resort. You may undertake several activities like paragliding, skiing and zorbing. Dalhousie has a different kind of colonial charm which houses amazing churches known for rich architectural work. Travel to Dalhousie if you want to catch glimpse of snowfall. Kalatope is just a few kilometers away from Dalhousie and houses the famous wildlife sanctuaries. During the winters, you may form the panorama of breathtaking countryside right from Panchkula to Dainkund. Are you looking for weekend getaway? 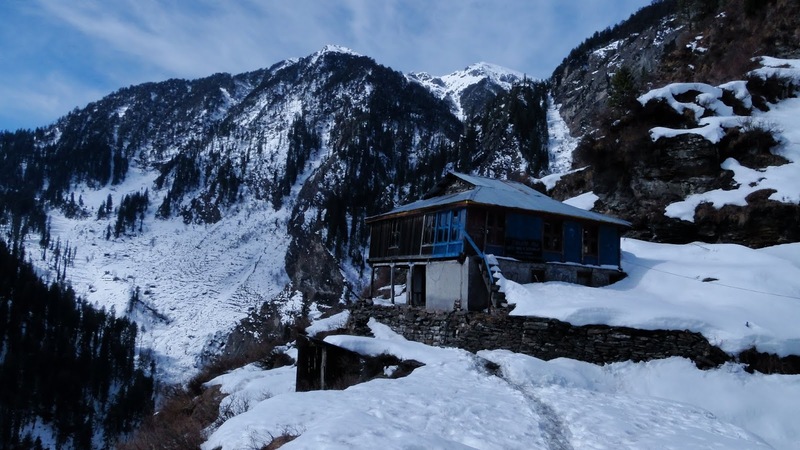 Why not head towards Kasol where there are small villages in between the dense pinewood. It is popular for angling holidays, trout fishing and for trekking tours to Malana Village. Kasauli acquires a sort of refreshing environment during the winters, and seems to escape from the city’s dirt. The colonial ambience of Kasauli is magnificently reinforced by vast stretches of houses, roads, shops and neat gardens, orchids. During the winter, you can’t avoid The Monkey Point. It has religious sites like Sai Baba Mandir and Baba Balak Nath Temple. Are you looking to escape the city’s dust and dirt? Why not visit the picturesque Dharamshala? It is the fusion of various tribal communities and so it is so worth visiting. There is international Cricket Stadium which tends to overlook Dhauladhar Mountain and the site is really spectacular. There are several places of tourist attraction here. Shimla gets transformed into fantasy world when it is winters. During the winters, you may take the forest trail running towards Kamino and Pabo village. You may sight the rarest of bird species when it is winter. When the temperature dips in the Himalayas, trek towards Tattapani or move through Kufri mountains which is the leading ski destination.